I’m originally a country girl. And do you know what? I love it. 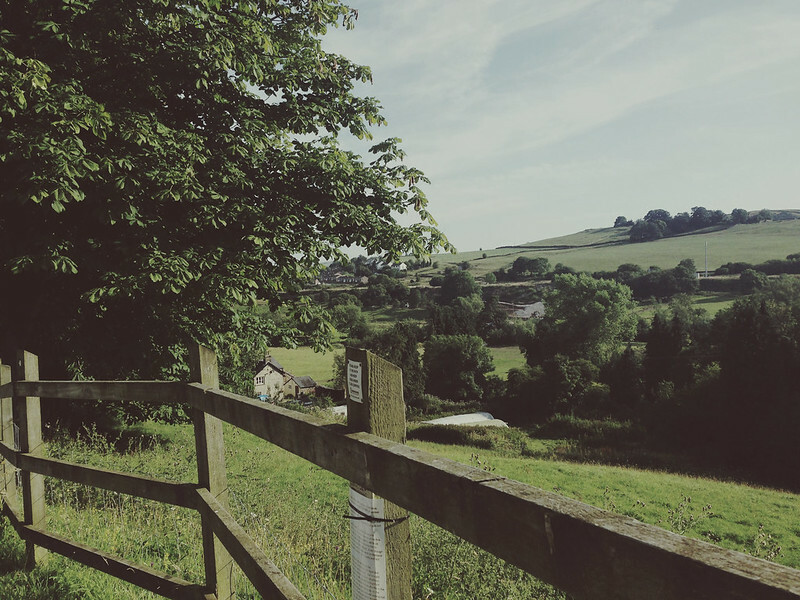 Growing up it wasn’t always convenient but I’m thankful I grew up where I did, and now I’m a city slicker (yeah, right), here’s 10 things I, and maybe other country guys and gals miss about the countryside when you make the move to the big city lights. I don’t care what anyone says, city pubs don’t and will never match up to country pubs. I’m talking old school architecture, beams and log burners that Alistair from Escape to the Country would lose his mind at. Darts, pool tables, local quizzes, home cooked food, locals (see above), cheap drinks - oh a glass of wine for under £5? I’ll take two bottles. Country pubs have character, personality and just general cheer. Living in the city centre is convenient and I do like the skyline, but waking up to rolling hills with no noise around is one of the best feelings. 80% of the apartments I viewed had the most amazing view of…ANOTHER BUILDING. Coming from a country girl who’s usual view is of next door’s neighbour’s horse casually eating my garden over the wall, that wouldn’t do - so an actual view was high on my move list. I don’t know what it is but things seem more simple in the country - and I mean that in the most non offensive way. I’m talking paperboys, milkmen, the local shop only being open certain hours, community events, the village getting snowed in come Christmas time - although life can be less convenient, things don’t seem to matter as much. Missed the last bus to the club? Night in and a book it is. Trains cancelled? Try walking. Whenever the city gets too much or I’m done with the buzz, it’s the perfect break to head back and clear my head. The world is your oyster in the country. You’ve got fields, footpaths, lakes, rivers, canals, hills, mountains - need I go on? Whether you need to clear your head on a long walk, fancy trekking up a peak with your friends or fancy an early morning jog - the sheer space is something I do long for again. In the city you quickly exhaust nice walking routes and even then you’re bumping into people every two seconds. Whereas at home, I might not pass one person for miles - the occasional horse or sheep maybe, but not another human soul - and it’s kind of nice. I’m not saying you can’t own pets in the city - heck my next door neighbour has a small pug called Napoleon. Sure he’s cute, but I’d struggle to keep pets in the city. In the country you can walk them for miles, let them off their leads or if you’re a cat person - let them outside. In the country it’s standard practice on a walk to greet, well, people in general, but even more so if they have a dog and double even more so if said dog wanders up to you. I’m naturally a cold person so it’s no surprise I love a good fire. Come winter, nothing beats a quiet night in in front of the fire with good food and films. Speaking of which, quiet night ins seem better in the country. In the city there’s always something to do, or you hear people leaving for a night out and you do get (and I’m sorry to use this) FOMO. In the country: “Oh it’s only 2 miles away - we can walk that!” In the city: “2 miles?! Hell no are we walking. Let’s get an Uber” Has tend to be my experience. I’m guilty of using Uber far more than I should and my inner country girl rolls her eyes every time I do. Back home I walk everywhere (within reason - I do still live in the sort of middle of nowhere so driving is required to go a far distance). Walking is the done thing and I do miss that. High heels need not apply. Come countryside times, swapping city dressing for country attire is just great. No-one cares what you look like and come snow season if you’re prancing around in skimpy outfits and inappropriate footwear - you’ll be known for all the wrong reasons. So whip out your favourite jeans, oversized shirt and boots because you’re back in the country and we’ve got bigger fish to fry - like going to the pub with your locals.